Everyone’s got “stuff.” Some people’s stuff is heavier than others. Some people’s is stinkier. But no matter the weight, shape or longevity, everyone’s got something to deal with. 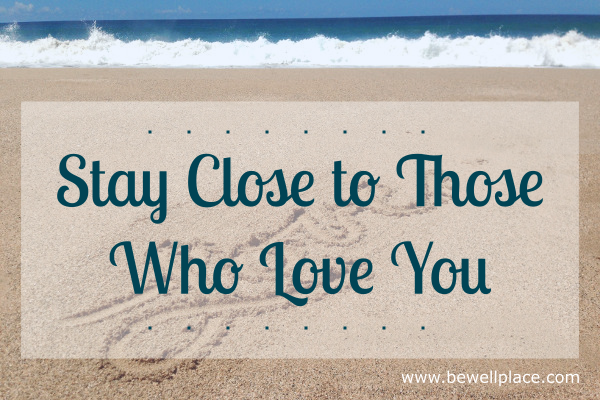 That’s why it’s so important – so very, very important – to stay close to those who love us. Because every so often, there comes a time when our stuff is too much, and we need to rely on the people who love us the most to remind us who we are and what we’re worth. No matter where we live, how much money we have, what we look like or what we choose to do for work, life is difficult. 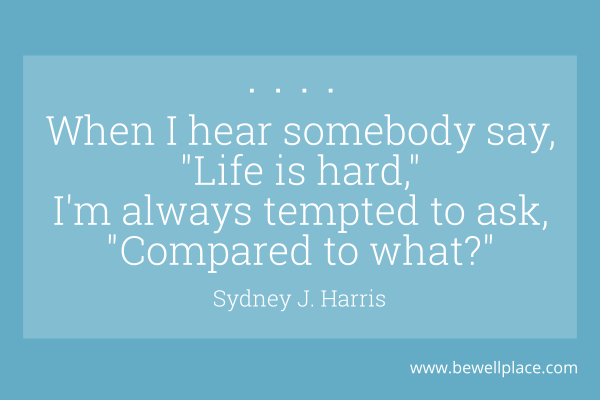 It’s certainly beautiful and wonderful and inspiring, but it is also difficult. The biggest lesson that we need to learn (over and over again, I’m afraid) is that the difficulties of life are mostly in our minds. Not having food, water, shelter and security presents the most difficulty – a difficulty that is very real and directly related to our survival on Earth. But even then, and even when we have all those things, we easily find ourselves frustrated, unfulfilled and worrisome. When our basic needs are met (and then some), yet we find ourselves feeling unhappy or unsatisfied (and pile on the guilt for having such feelings), life will always be difficult. It’s okay to feel unsatisfied, frustrated or confused. It’s just not so good to stay there. And though our feelings are very real, they aren’t shrouding us and searching for weak spots so they can sneak inside undetected. No, our feelings arise in the mind. Feelings are merely thoughts we attach to so quickly that we cannot distinguish them from ourselves. Feelings are merely thoughts we attach to so quickly that we cannot distinguish them from ourselves. It should be comforting to know that feelings arise in the mind because then we can do something about it. It’s not like a broken leg – tangible and restorable but leaves us at the mercy of our body’s internal recovery process. With thoughts and feelings, we can take action using minimal resources and change the course of lives in a moment’s time. But, it’s not always easy. And sometimes, when we’ve reached max capacity, we just don’t have the strength to manage our “stuff” and easily lose the desire to try. Enter: The people who love us the most. No human can live life alone. 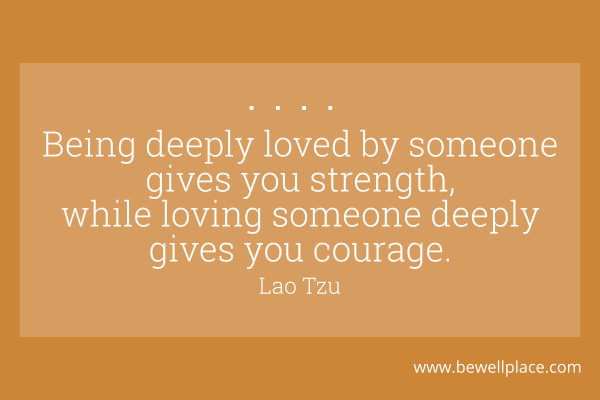 Even the strongest, fastest, MacGyveriest people on Earth need someone to love them through and through, especially when the you-know-what hits the fan. As independent as we may be, we all rely on companionship to patch up the tiny broken pieces of our lives that might otherwise remain scattered. It’s good to figure out our stuff independently, dive head first into the dark and build skills and strength through the struggle. We grow and evolve when we stretch ourselves beyond our limits, beyond our comforts and into the scariest of realms. But we must never stray too far from those who genuinely love us. For life is turbulent, and we need those who love us to save our souls from time to time. Life is turbulent, and we need those who love us to save our souls from time to time. A very sincere thank you to all my loved ones, near and far. Your love patches me up when my soul feels scattered and keeps me strong in the broken places. It is good to read your inspiring words again. As usual you are spot on.